Hello there, not long to wait now for the new release from Clearly Besotted. All the new products will be available to purchase tomorrow evening. 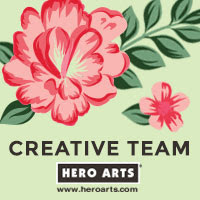 I am sharing two new sets for my teasers today. The first one is called Happy Travels. If you follow Clearly Besotted on Instagram, you may have seen that when they first joined they did a giveaway for an exclusive set. You all loved the set so they have now released a similar version for everyone. For my card, I first took my TH Distress Inks and blended these over a strip of white cardstock. 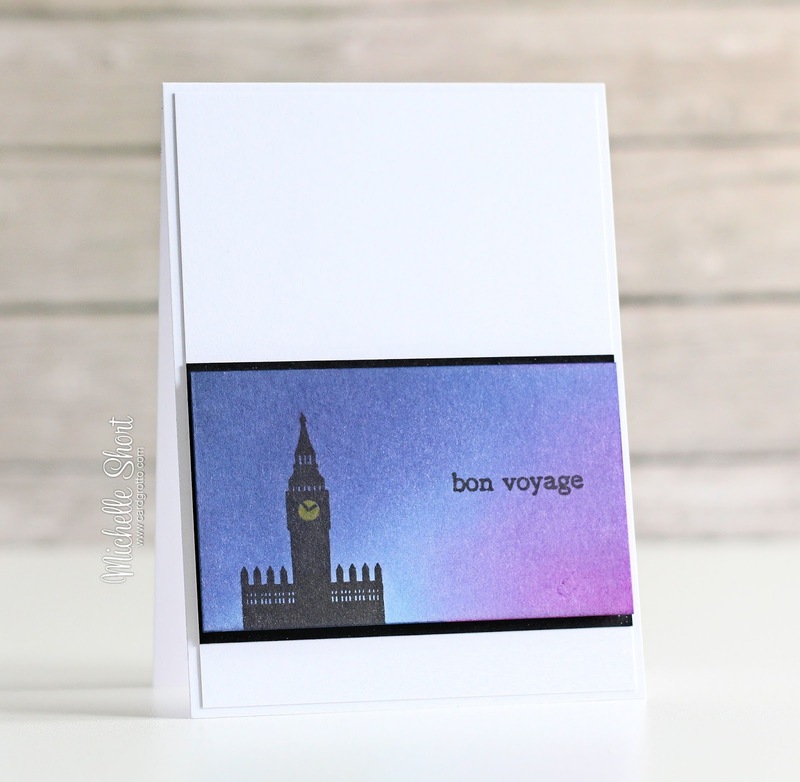 I took the Big Ben image and stamped this on top using Versafine Onyx Black ink. The sentiment was then stamped to the side. I also added a little yellow to the clock face using the Mustard Seed Distress Marker. I took a panel of white cardstock and added a strip of black cardstock to this. I then added the focal image strip on top with foam tape. The whole thing was then added to a 4 Bar notecard. I finished off by adding a little clear Wink Of Stella to the exposed black cardstock. Next up is one of the cutest ever stamp sets. It is called Best Birthday and the idea for it came from Stephanie's daughter Jasmine. 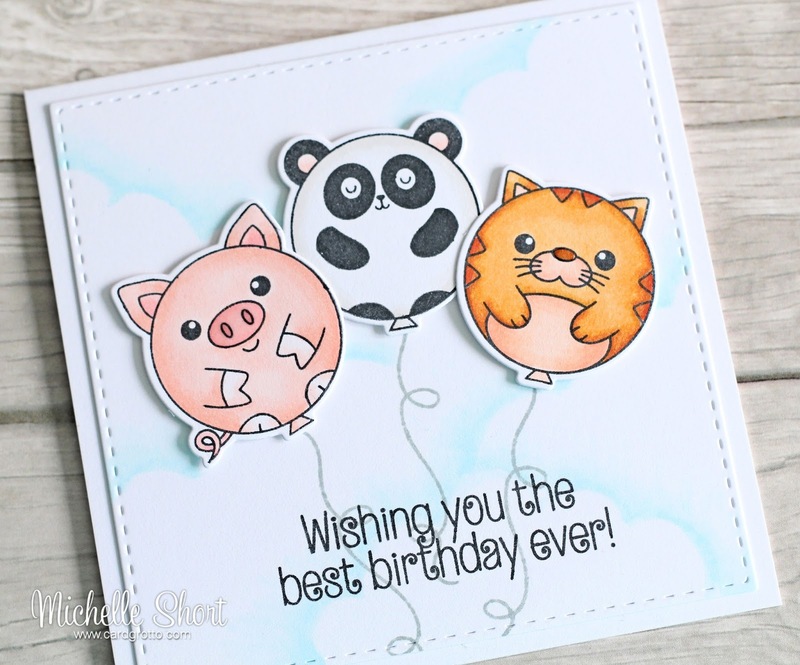 It features animals as balloons! How cute! I started off by stamping and colouring the balloon animals (there is also a squirrel in the set but sadly I only had room to fit three on my card). These were then cut out using the matching dies. On a panel of white cardstock, which was cut using one of the SSS Stitched Square dies, I free-hand drew some clouds using my Copic Markers. The sentiment, from the same set, was stamped on top of the panel with black ink and then the balloon strings with grey. The balloon animals were added on top with foam tape. 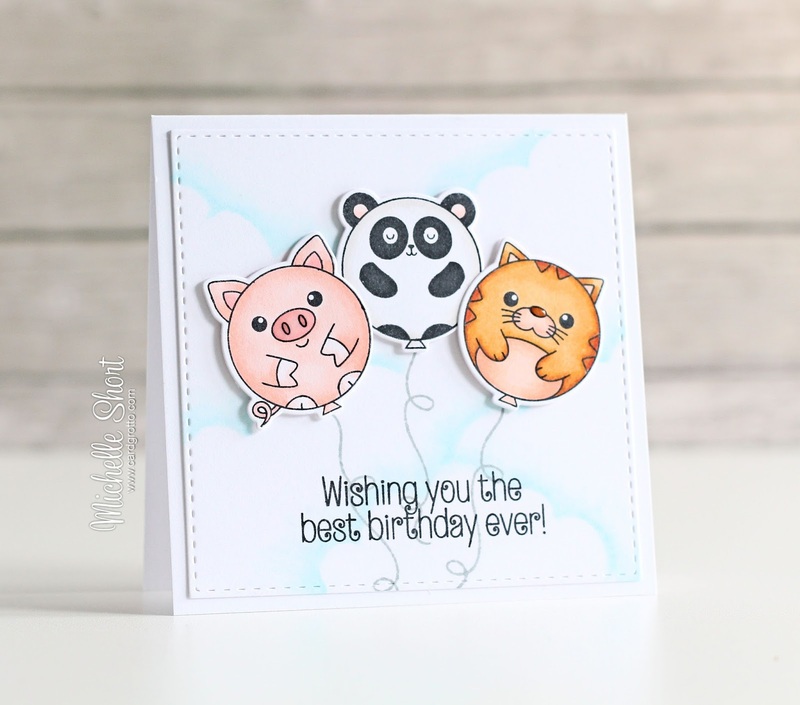 The panel was adhered to a square card base and then I added a little Pico Embellisher to the pig and cat's noses. COPIC MARKERS: Panda: W0, W1. Pig: R00, R11, R12, R20, R21, R22.Cat: E01, E02, YR000, YR00, YR18, YR20, YR21, YR24, YR27. Sky: B0000, B000, B00. 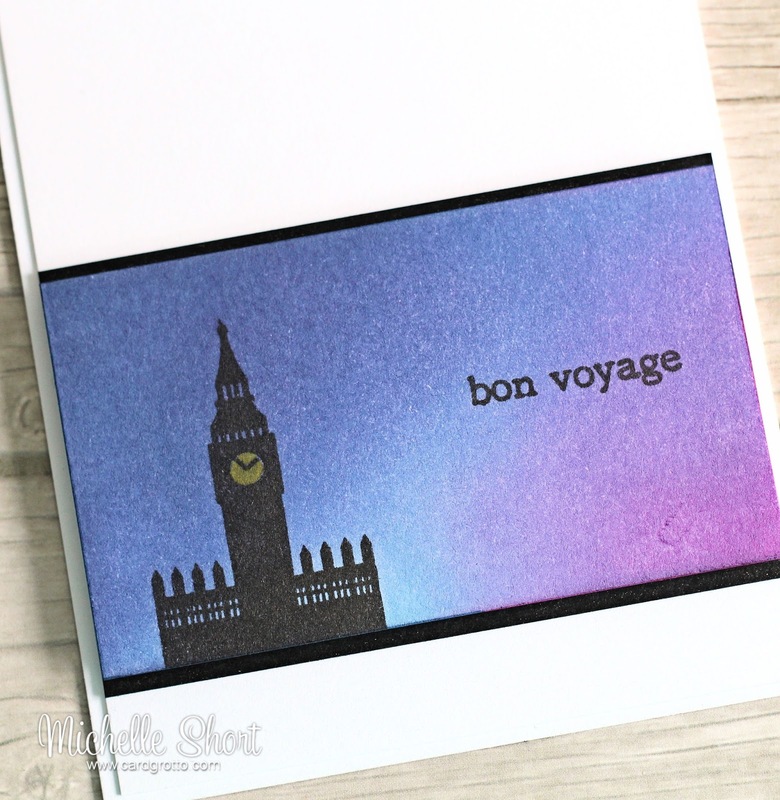 Lovin' the looks of that Happy Travels set! Your ink blending is perfect! And those balloon animals are so happy and sweet! You have made coloring skills. The ink blending on the 1st card is fabulous and, shat can I say about those balloon animals on your second card except that they're perfectly colored. So pretty - I love how you blend your colors! Absolutely cute and adorable, I always enjoy these teasers Michelle. Great samples like always. These are fabulous!! Great sponging on the first one and i love the background on the second one!! 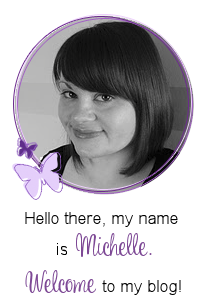 Beautiful job with these Set's,Michelle! !